These are some of our favourite books this year, titles that would make great gifts for readers of all ages. 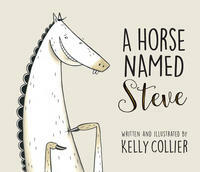 About the book: “Steve is a fine horse,” begins Kelly Collier's clever picture book. “But he thinks he could be finer. He wants to be EXCEPTIONAL.” When Steve finds a beautiful gold horn lying on the ground in the forest, he realizes he has found his path to the exceptional! He immediately ties the horn to the top of his head and prances off to show his friends. Not everyone is impressed, but most of his friends agree —Steve and his horn are indeed exceptional. In fact, many of his friends are so inspired, they decide to tie items to the tops of their heads as well. So when Steve discovers his horn has suddenly gone missing, he's devastated and frantically searches everywhere to find it. He won't be exceptional without his horn! Or will he? 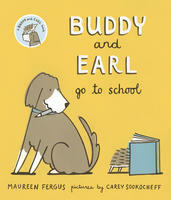 About the book: Buddy and Earl know that with the right education they can become anything—even a dentist or a hot-dog vendor! So they eagerly gather their silly, smelly supplies and head to school. 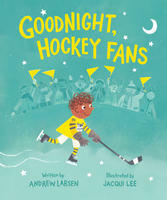 About the book: From celebrated children's poet and author Sheree Fitch and early childhood educator and researcher Anne Hunt comes this illustrated compendium of Atlantic Canadian poetry and verse for young readers. Spanning centuries of work, from Milton Acorn to Kathleen Winter, and a broad thematic scope—from soft lullabies to silly, jiggly lyrics, poignant meditations on nature, loss, and love—over 100 poems from the region's best are sure to delight educators, parents, and young readers everywhere. With brilliant spot illustrations from acclaimed New Brunswick artist Lloyd Fitzgerald, Whispers of Mermaids and Wonderful Things is a feast for all senses. About the book: The sibling duo from Hat On, Hat Off are back in another household adventure, exploring and playing in the kitchen. These little ones know baking is hard and messy work, but it sure is fun. Put on an apron, gather ingredients, measure the flour—try to keep kitty off the counter! Wash sticky fingers, and let mommy put the cakes in the oven. Waiting is the hardest part, but time flies for these playmates whose patience is rewarded with more than just baby cakes. Little helpers will be keen to work in the kitchen after reading this sweet story. 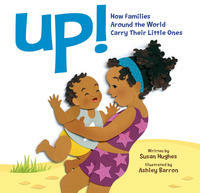 Told in simple text, and delivered in a sturdy, padded cover with stronger pages that are perfect for little hands, Baby Cakes highlights curiosity being explored right at home. 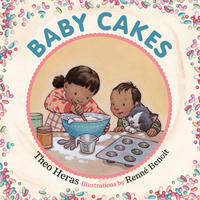 The small and familiar moments of childhood are cherished in these heart-warming books written by Theo Heras and illustrated by the award-winning Renné Benoit. 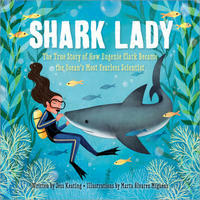 About the book: Eugenie Clark fell in love with sharks from the first moment she saw them at the aquarium. She couldn't imagine anything more exciting than studying these graceful creatures. But Eugenie quickly discovered that many people believed sharks to be ugly and scary—and they didn't think women should be scientists. Determined to prove them wrong, Eugenie devoted her life to learning about sharks. After earning several college degrees and making countless discoveries, Eugenie wrote herself into the history of science, earning the nickname "Shark Lady." Through her accomplishments, she taught the world that sharks were to be admired rather than feared and that womencan do anything they set their minds to. About the book: Monty the Malodorous is a daring pirate. He is brave. He is bold. He is feared by all who sail the six or seven seas. But Monty has a secret: he can't swim. He never goes into the ocean—and he never takes a bath. “Real pirates don't bathe. Yar-har-har!” he says. But things change when he meets a mermaid named Meg. “Monty's heart went ka-thunk. He tumbled head over boot heels in love.” And, one day, when Meg's life is put into peril, Monty realizes he's the only one who can jump into the ocean to save her. Monty is faced with a terrible dilemma: is his love strong enough to overcome his fear? 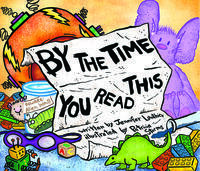 This is engaging, heartwarming and funny picture book tale is told with originality by Jennifer Mook-Sang. 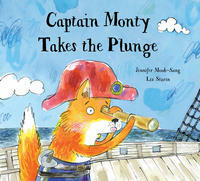 Children will love Monty the pirate (who's actually a dog! ), and readers with their own fears of learning to swim will relate to his difficulties. Young children will also be delighted by the idea of not having to take a bath! The childlike style of Liz Starin's illustrations add a freshness to the story, as does the non-conformist mermaid she's created—perfect for her character. Meg is a voracious reader who knows all the best fishing spots and teaches Monty how to set course by the constellations. This playful book is an excellent choice for story time, reinforcing themes of self-discovery and personal development, as well as character education lessons on courage. 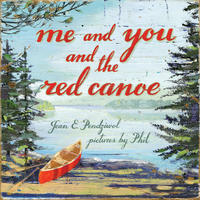 About the book: In the stillness of a summer dawn, two siblings leave their campsite with fishing rods, tackle and bait, and push a red canoe into the lake. A perfect morning on the water unfolds, with thrilling glimpses of wildlife along the way. 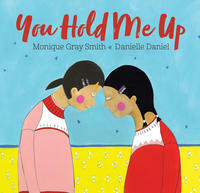 About the book: This vibrant picture book, beautifully illustrated by celebrated artist Danielle Daniel, encourages children to show love and support for each other and to consider each other’s well-being in their everyday actions. 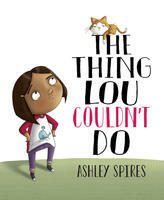 About the book: “Lou and her friends are BRAVE adventurers. They run FASTER than airplanes. They build MIGHTY fortresses. They rescue WILD animals.” But one day, when they're looking for a ship to play pirates in, Lou's friend has an idea: “Up there! The tree can be our ship!” “Ummm ...” says Lou. This is something new. Lou has never climbed a tree before, and she's sure she can't do it. So she tries to convince her friends to play a not-up-a-tree game. When that doesn't work, she comes up with reasons for not joining them—her arm is sore, her cat needs a walk, you shouldn't climb so soon after eating. Finally, she tells herself she doesn't want to climb the tree. But is that true, or is this brave adventurer just too afraid to try?